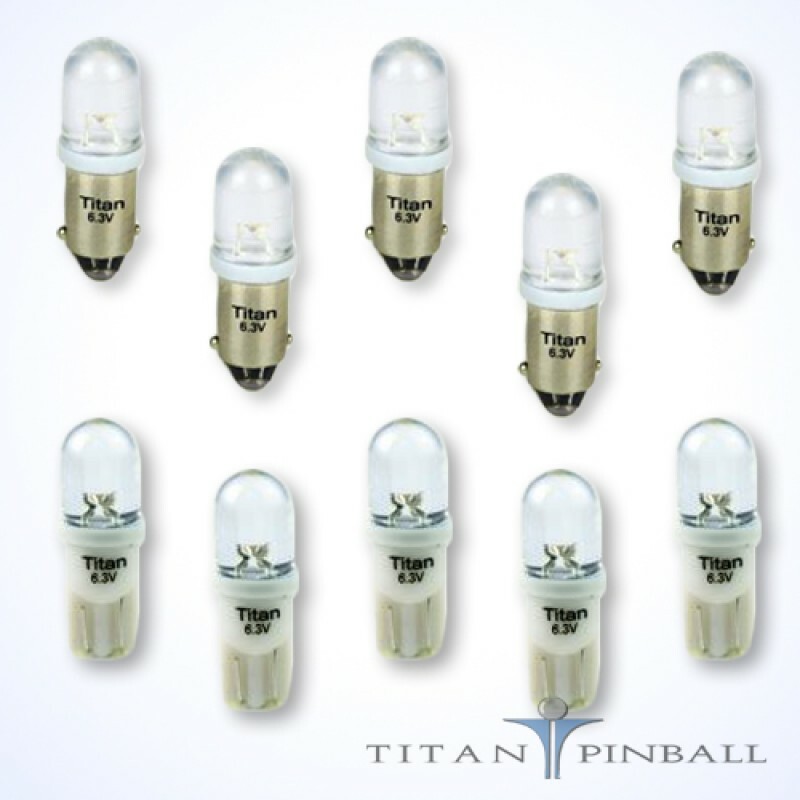 Upgrade those power hungry incandescent bulbs to LEDs! 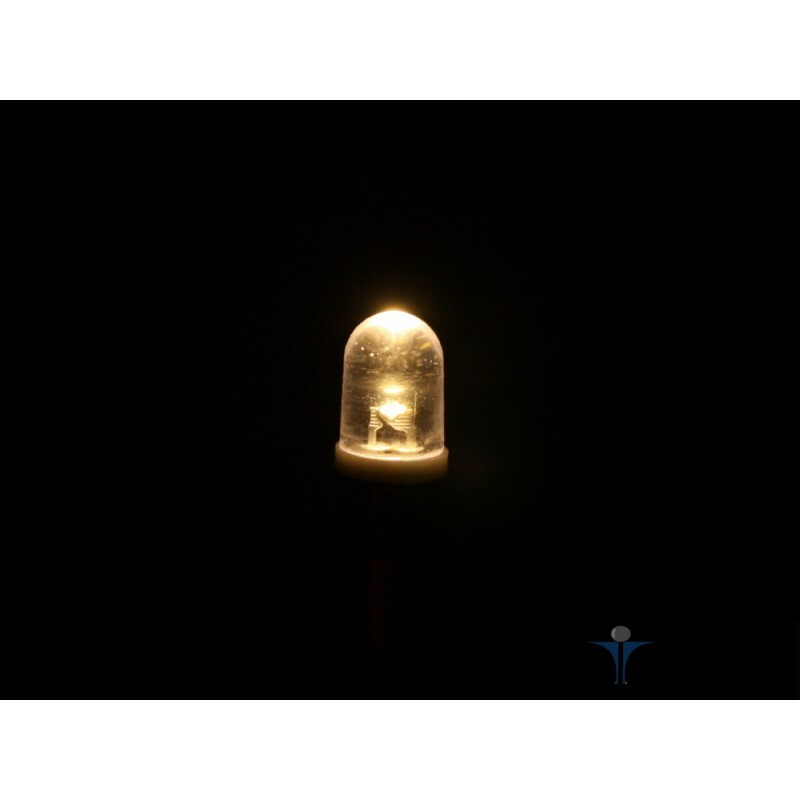 LEDs have a very long life span and use a lot less energy than standard bulbs. They generate almost no heat and come in a variety of colors that make inserts really stand out. 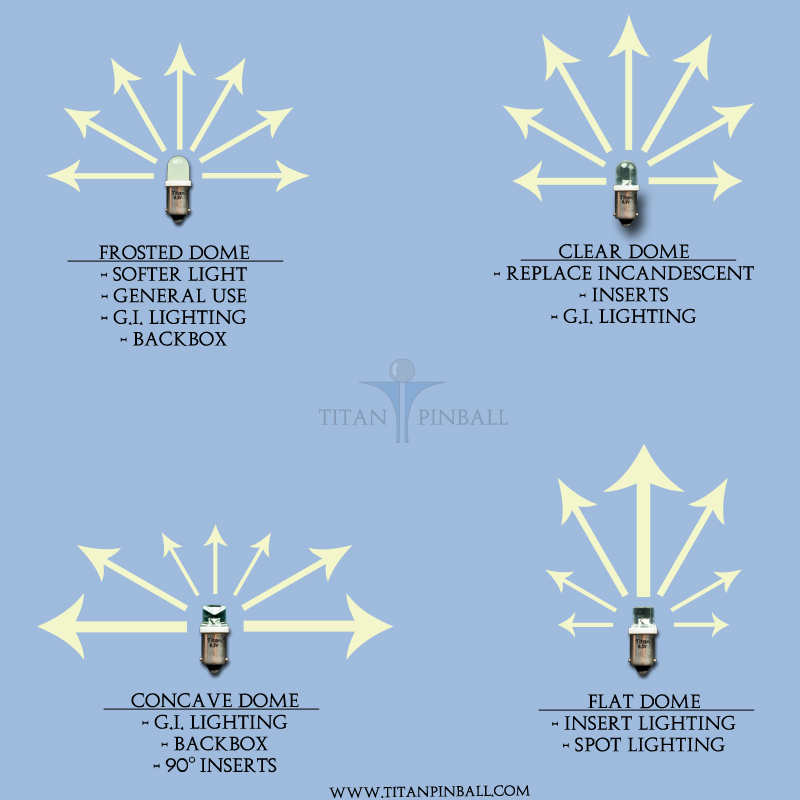 The Clear Dome LEDs are a great replacement for regular incandescent bulbs. Clear Dome LEDs can be used anywhere, but really excel at insert lighting and general illumination. 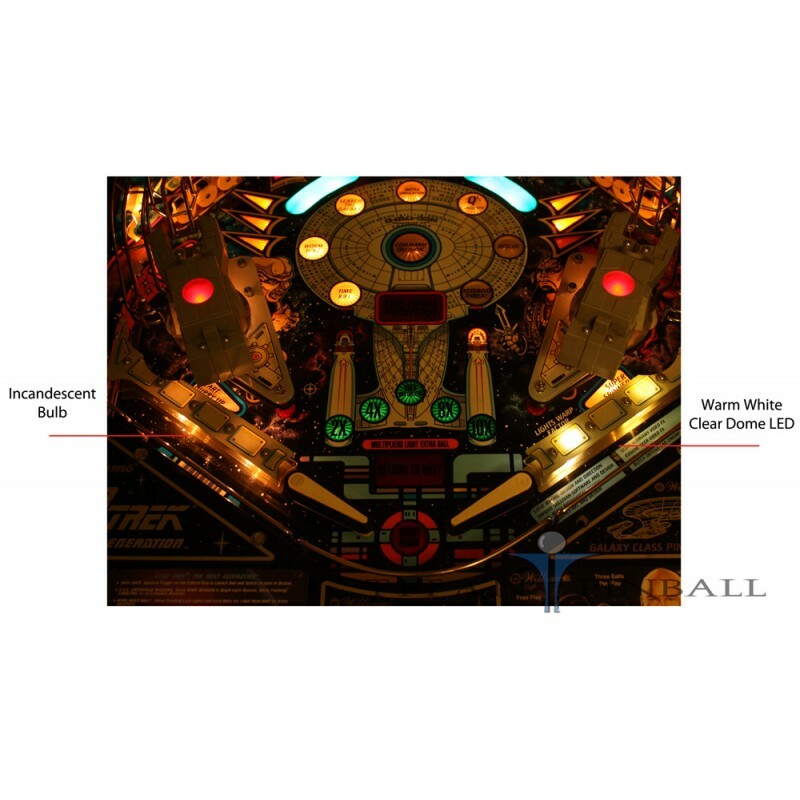 NOTE: the 555 wedge LEDs should not be used for playfield inserts on some system 11 or newer games. 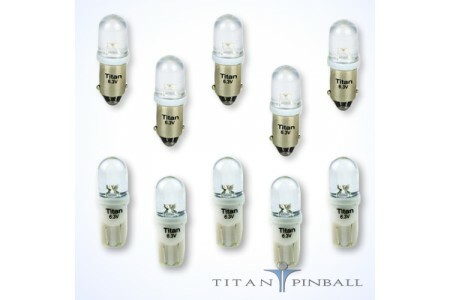 They can be too long if your game uses individual PCBs with the black twist socket. Use the Flat LEDs instead. Our LEDs are internally rectified. 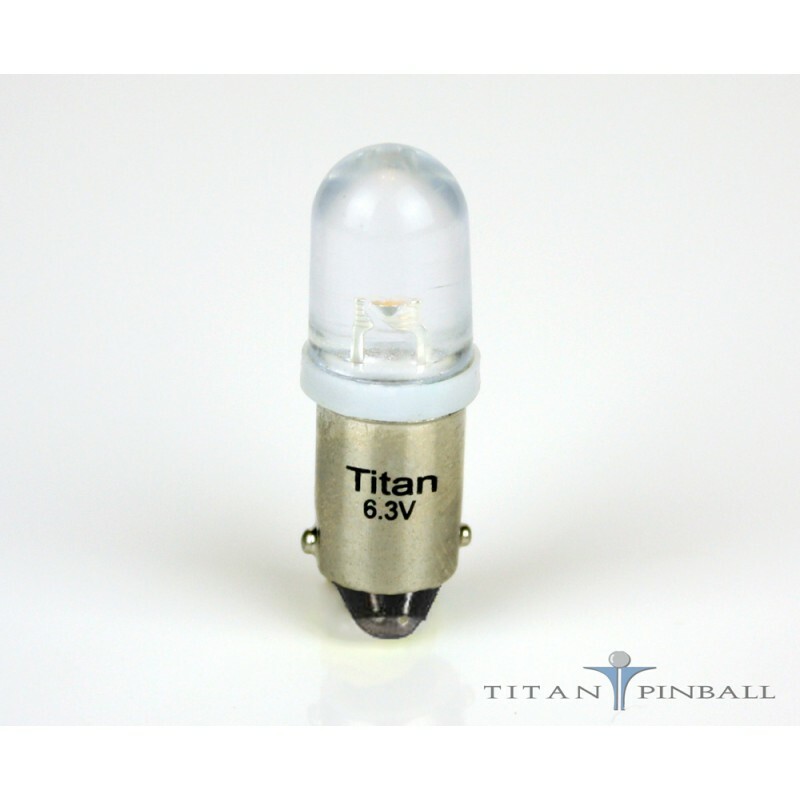 This means they will work with AC or DC voltages and can be installed in either orientation. LEDs are tricky to photograph. These photos are primarily to show light dispersion and color. They were taken with lights on and lights off. They may not be the best indicator of overall brightness. 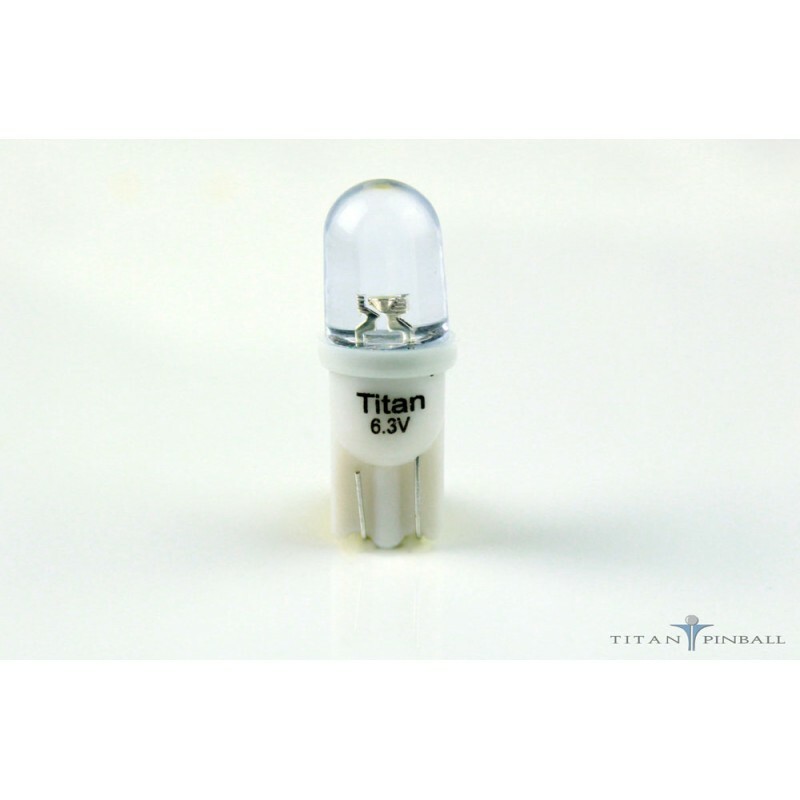 Upgrade those power hungry incandescent bulbs to LEDs! 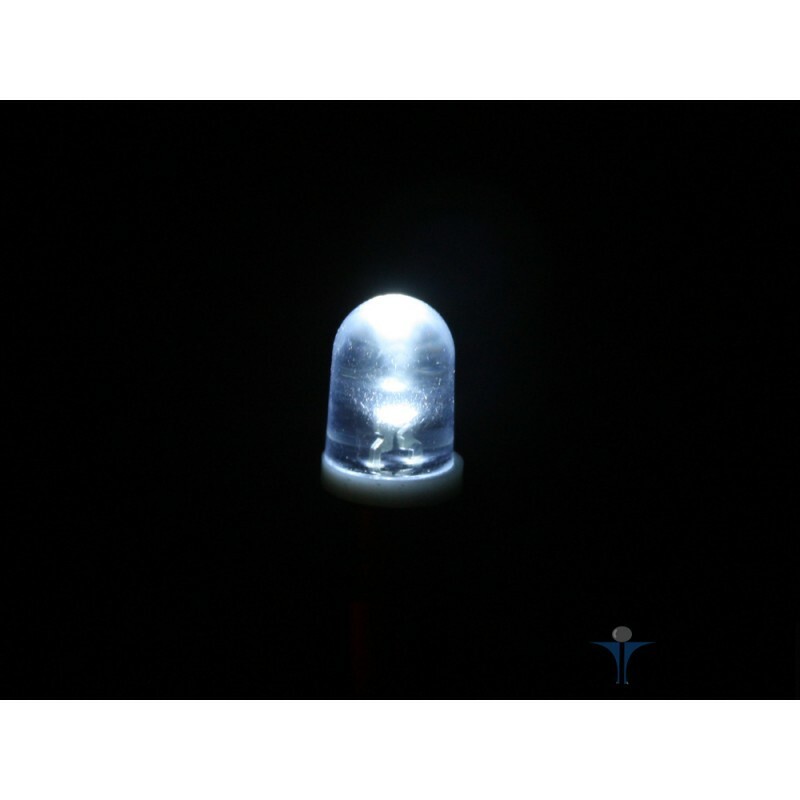 Availiable in Cool and Warm White, Red, Blue,..
Upgrade those power hungry incandescent bulbs to LEDs!LEDs have a very long life span and use a lot .. 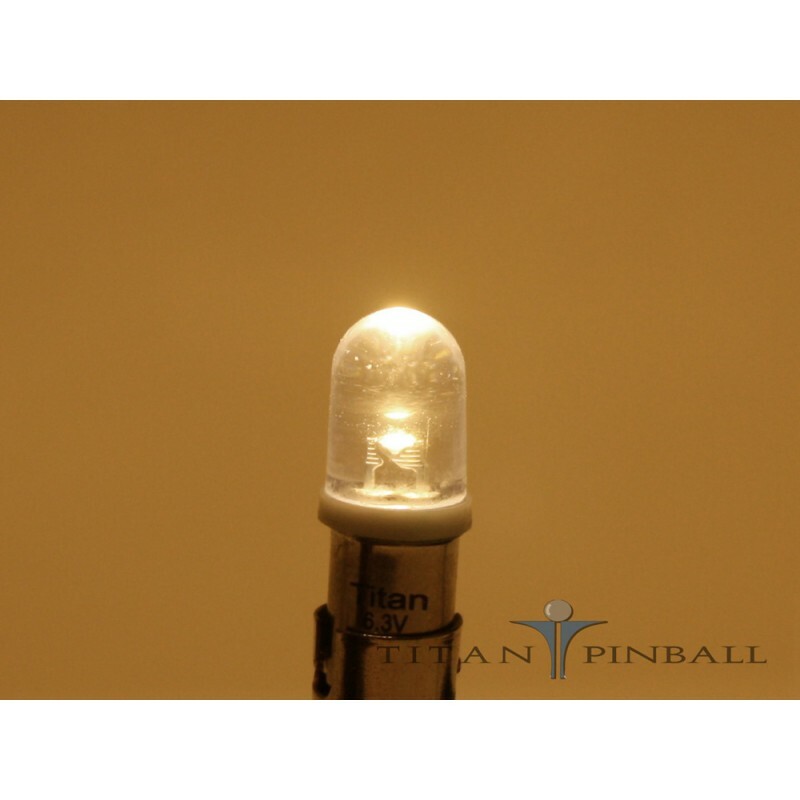 The Frosted Dome 1SMD LED are Titan Pinball's newest line of LEDs are the SMD (Surface Mount Diode) .. 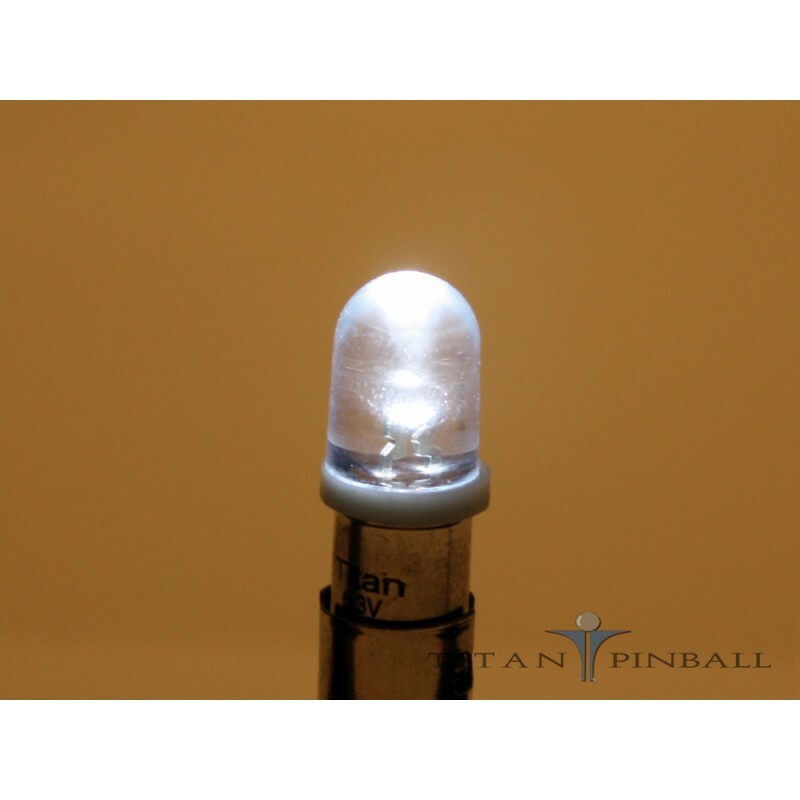 The Clear Dome 1SMD LED are Titan Pinball's newest line of LEDs are the SMD (Surface Mount..